The terrorist attack on Army Public School, Peshawar generated a serious debate as to how to confront terrorist attacks in future. The meeting of all parliamentary leaders held in Peshawar on next of the attack under the chair of the Prime Minister concluded with the decision to form a committee to recommend steps to be taken in this direction with the mandate to submit its recommendations within seven days from the date of its formation. The Government consequently constituted the committee comprising of leaders from different political parties, which includes one former Federal Minister for Interior who had rich knowledge and experience to confront these terrorists. The inclusion of professionals and expert on counter-terrorism in the committee would have been an extra advantage to the committee. Although this was a right step towards creating consensus to deal with the Taliban/terrorists yet unfortunately it was not the first initiative. In the past, a similar APC was convened on the subject where certain decisions to deal with the terrorism were taken but without any results. The political as well as religious parties are widely divided on the lines of sects and opposing political philosophy. Apart from few political parties, majority of political parties depend on the vote bank of religious and rightist groups. The fear of losing vote bank by the ruling party consequent to an operation against proscribed groups helped those groups to energise themselves. It is an irony that the successive governments in Pakistan, civilian or military, could not define the parameters of national security of the country thus lacking a comprehensive National Security Policy. There is a clear divide on various aspects/areas of national security as some circles – political or religio-political – had different threat perceptions vis-à-vis Taliban. The philosophy of national security of any country revolves around two major and important aspects of a State - political stability and economic stability. Undoubtedly, political stability and economic stability are dependent on each other. The political stability is achieved through rule of law, which brings harmony amongst the different segments of the society. The harmony and justice derived through rule of law help block any law and order situation. 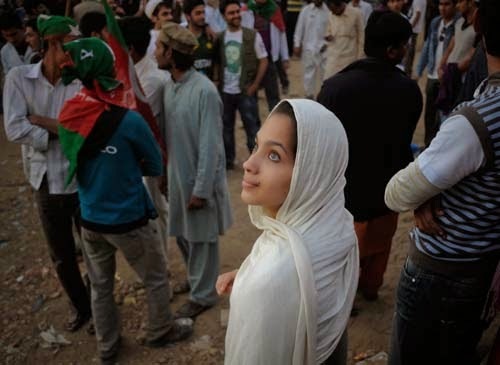 The dilemma of political instability in Pakistan is centred on political polarization, sectarian divide, politicization of national institutions and deep-rooted corruption. The law and order situation in the country significantly impacts on the economic stability of the country. It is equally important to create a conducive atmosphere at home for the economic activity besides protecting economic interests abroad. The time is ripe now to define the national security of the country. 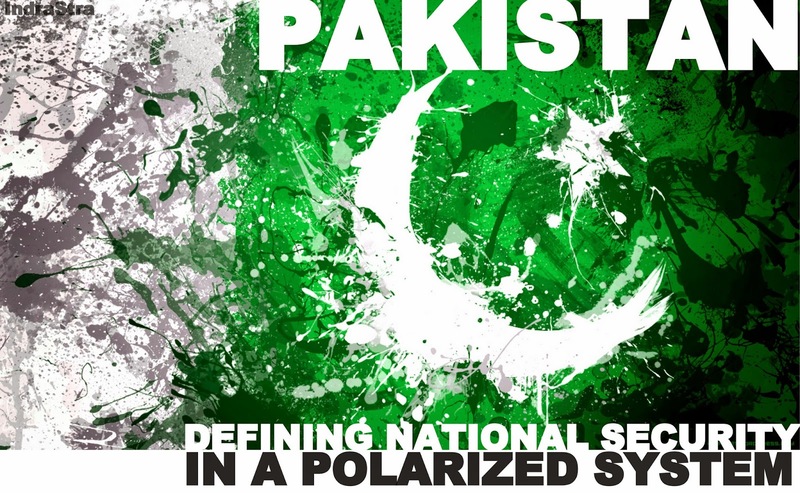 Broadly speaking, preserving and defending the ideological and geographical boundaries of the country, ensuring and guaranteeing rule of law, elimination of sectarian divide, bridging gap between haves and haves not, safeguarding economic interests both at home and abroad should have been the corner stones of the national security policy. The political polarization in Pakistan is such deep rooted that the political workers as well as the leaders do not tend to agree to disagree with the opponent political workers and leaders. Similarly, sectarian divide has become so strong that opponent groups do not hesitate to kill each other in the name of religion. The mushroom growth of religious ‘Madaris” has become breeding grounds for teaching and spreading of hate speeches and material. The indiscriminate and uncontrolled use of loudspeakers in mosques is one of the powerful tools in the hands of sectarian leaders. Prior to 9/11 attack, Pakistan had witnessed a bloody spate of sectarian killings when these religious extremists turned against security personnel of the country to wage a so-called ‘Jihad’. These attacks had not only put the integrity and the writ of the State at stake but also raised so many questions vis-à-vis financial and weaponry support to these terrorists. There had been signatures of foreign hands in terms of funding, training and weapons to the terrorists which the government needs to confront those foreign governments with evidence and raise the issue at diplomatic level. If the Government is serious to tackle this menace then it has to create national consensus on the threat perception keeping aside their political differences with other political parties. Mere holding of All Parties Conferences, as done in the future, would never serve the national cause unless decision taken in such meetings are translated into meaningful actions. The very serious issue which the Government needs to addressed to on emergency basis is to rethink about its nature of relations with all those parties/groups, whether political or religious, who are sympathizers, supporters or abettors of the terrorist groups operating against the interests of Pakistan. It is very important for the ruling party to distance itself from its religious vote bank, if it wanted to be remembered as a pro-Pakistan political party. It needs to be made clear to all those religious parties that any act of terrorism or aggression within Pakistan or from Pakistan would not be tolerated. One should, however, remember and should be aware of the influence of these religious parties on the minds of common man that confronting them would not be an easy task. They are capable of bringing crowds on street in the name of religion but the State has to hold the grounds in order to establish its writ. The previous government had started a process of registration of religious "madaris" and to introduce modern subjects in the curriculum of these madaris, which was a step towards bringing these madaris under some sort of State supervision or monitoring. These madaris are often established on illegally occupied State land and once a first foundation brick is laid, the successive governments either turned their blind eyes due to its affiliation with the sect or it became so week to get the land vacated. These madaris, without any exaggeration, had been and still are, breeding ponds for future hate speakers and majority of now days Taliban/terrorist happened to be the graduates of these madaris. Therefore, these religious sanctuaries have to be brought under stricter State monitoring through introduction of specific laws or code of conduct. Maintaining law and order situation in the country is primarily the duty of the Police and other law enforcement agencies. The current situation of policing in the country is very deplorable. Over the period, different political parties inducted its political workers in the police force throughout the country who are obviously more loyal to their respective benefactors rather than the police department or to maintaining law and order or to acting according to the law. The political culture of Pakistan is such that every public representative ensures that police officers/officials in his constituency is posted with his consultation and agreement. This approach by the public representatives had negatively impacted upon the question of merit in terms of posting and performance. To ensure rule of law, the State institutions such as police and other law enforcement departments have to be depoliticised forthwith and given a free hand to deal with the law and order situation and crimes indiscriminately. An independent body, however, to monitor the working of the police and its perceived high-handedness, if any, may be created but not to control the working of the police. As mentioned above, good law and order situation in any country provides incentives to the investors, local or foreigner, to invest in the country and it in return generate economic and business activities. Bringing investment from abroad is not the only important component of the national security policy but it is also important that Pakistan’s economic interests throughout the World are watched, protected and achieved through aggressive diplomatic activities. Corruption and lack of indiscriminate accountability of those involved in corruption breed inefficiency and lawlessness. The anti-corruption agencies need revamping and recruitment of upright personnel in these agencies. At the moment, these anti-corruption agencies also lack internal accountability mechanism to ensure that not only the delinquent personnel are dealt with according to law but also the investigations are conducted according to law and sent to court for trial. The judiciary is one the pillars of the State which is responsible for ensuring rule of law in the country. Although it had a very chequered history, either introduced Law of Necessity to validate military coups or engaged in judicial activism to put the civilian governments on defensive stance. Ensuring of justice to every citizen is the responsibility of the Judiciary, as part of the national security component. Injustices and discrimination by the State institutions towards common citizen encourages them to take law in their own hands, resultant of creating new law and order situation. The terrorists are using it as a tool to recruit disgruntled youth to join their ranks. It is high time for the government to define the national security and to preserve and implement national security policy. National security, without commitment and ownership, would be impossible to be implemented. The political parties, whether in government or in opposition, have equal responsibilities to own and implement the policy. About Author: Muhammad Sajjad Haidar, Chairman of Arabian Soft Logix Limited based out of Luton, United Kingdom. He has more than 30 years experience of criminal including anti-money laundering investigation, border control management, counter terrorism and Homeland security.